Who says an author makes less money than other professionals? These are the top 50 richest authors, who have earned the fame not just for their best-sellers, but also for their lavish and luxury-driven life. 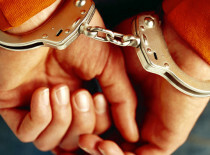 Here is an eye-opening article that has left all the records behind. Check out, who is stealing the spot in the list of the highest earning authors. J.K. Rowling is one of the richest citizens of U.K. and is a well known British novelist. She has an approximate net worth of $1 billion. As of June 2013, Forbes has reported her annual earning around $13 million. Rowling is best known for her fantasy series of Harry Potter, which have earned her a business of millions. Eventually, this fantasy novel was transformed into a blockbuster movie, starring Daniel Radcliffe. She has been honoured with various esteemed awards. Her other books are The Casual Vacancy, Where to Find Them, Fantastic Beasts, Quidditch Through the Ages, The Tales of Beedle the Bard, and The Cuckoo’s Calling. Rowling owns a beautiful mansion in Tasmania worth $10.7 million and a church cottage in Tutshill worth $5.8 million. 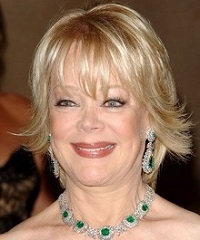 Candy Spelling is an author, entrepreneur and a socialite. She is a daily columnist for “The Huffington Post”. “Stories from Candyland”, her autobiography, became the best-seller in New York Times within two weeks of its publication. Candy is the wife of deceased film and television producer, Aaron Spelling. She used to live with her husband in one of the most expensive mansions of Beverly Hills, Spelling Manor or The Manor, which she sold for $85 million after Aaron Spelling’s death. She currently resides in a $47 million luxurious condo in Century City, which is spread in the area of 16,500-square feet. 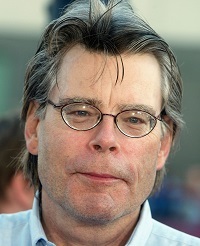 Stephen King is the novelist, actor, screenwriter, television producer, and columnist. 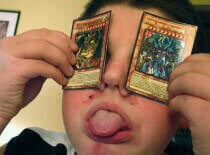 He has a net worth of $400 million. Some of his famous writing works are- The Shining, Stand by Me, Carrie, It, and The Dark Tower. Stephen’s genre of writing is primarily suspense, science fiction, horror and fantasy. He has a number of significant awards on his name. Till date, about 200 short stories and around 50 books are written and published by Stephen, and more than 350 million copies have been sold. 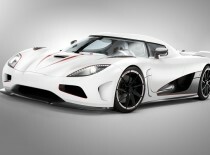 As of June 2013, Forbes has estimated his per year earnings as $20 million. Stephen King’s net worth includes some of his lavish condos in Bangor and Lovell, Maine. He also owns a waterfront mansion, situated in Sarasota, Florida. Few luxury cars and a private jet adorn his lifestyle and display his status symbol. Danielle Steel is an American novelist. She is famed for writing in the genre of romance, children’s fiction and non-fiction. Some of her best-seller novels are The Promise, Crossings, Until the End of Time, The Sins of the Mother, Fine Things, Heartbeat, Star, Secrets, and many more. Danielle has a net worth of $385 million and has sold around 800 million copies of her books over the globe. One of her books remained on the New York Times Bestseller List for 381 consecutive weeks and for this, her name was listed in the Guinness Book of World Records. She resides in 1913 built “Spreckles Mansion”, in the Pacific Heights neighbourhood, San Francisco. 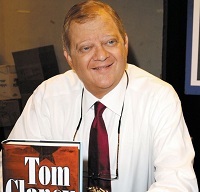 Thomas Leo Clancy, Jr. is an American novelist, who writes books on crime-fiction, spy fiction, techno-thriller, and non-fiction genres. 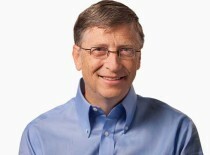 His net worth is $300 million, which he has earned by his best-sellers. Some of his popular books are The Hunt for Red October, The Sum of All Fears, Red Storm Rising, Patriot Games, Without Remorse, and many more. He also possesses part ownership in Baltimore Orioles. He lives in Huntingtown, Maryland in USA. He also owns a $12.6 million mansion on the Inner Harbor of Baltimore. It features a private theatre, 6 balconies, 4 bedrooms and 6½ bathrooms.